Is your commercial metal roof leaking? Instead of replacement, consider a more economical solution – metal roof restoration. Restoration is a great alternative to replacement. Metal roofs fail as they age, by their very design. The two biggest sources of roof leaks for metal roofs are fasteners and seams. For both metal roof repair and metal roof restoration, there are somewhat similar waterproofing processes. by repairing, you are waterproofing only the portion of the roof that is leaking, rather than waterproofing the whole roof. For a tight budget, repair can be a great option for building owners and property managers. You need to inspect and assess your problematic areas to the budget available for repairing them. Not everyone can afford a full restoration of their roof, so we can also provide a temporary solution until the funds become available by repairing the problem areas. On a metal roof, each screw is a potential failure point if the fasteners are exposed. Initially, when the screws are installed, they will have a rubber washer to seal away any moisture. However, over time, the rubber washer gets brittle and cracks, which allows water to enter the building. Metal is installed in large sheets, with the edges of each sheet also an area for potential leakage. Water can be pulled up and in between the sheets by high winds through a wicking action into the building. Sealant is usually applied between the sheets when the metal roof is installed. But, over time, this sealant degrades, which allows water to enter the building. 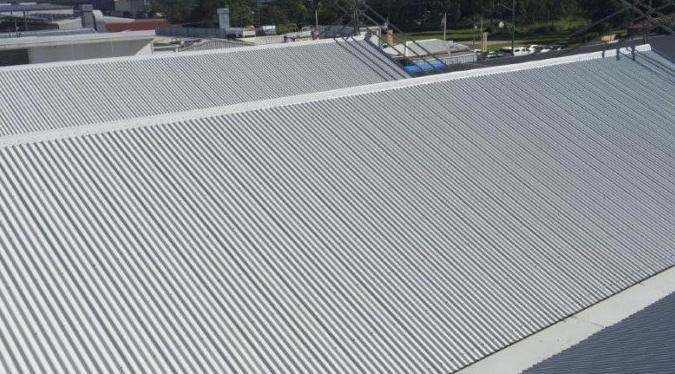 Our system is proven to restore and protect commercial metal roofs, almost to new condition, from extreme weather elements. We set the standard for quality and affordability in the field of metal roof repair and restoration. We have raised the bar with technologically superior high-tensile coatings as the main component, after sealing all leaks and seams. The properties of this coating will make it your best option for extreme weather elements and color retention. Our systems offer bright white, Cool Roof options, are Energy Star rated and backed up by long-term system and material warranties and guaranties. 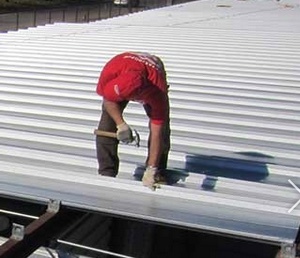 Armadillo Roofing & Exteriors provides commercial metal roof restoration, commercial metal roof repair and commercial metal roof installation services to Temple, Texas and the surrounding Austin, TX area cities. 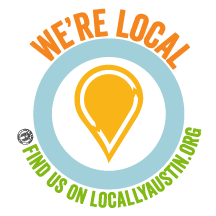 We’ve been around since 2001, providing quality, professional services and advice.